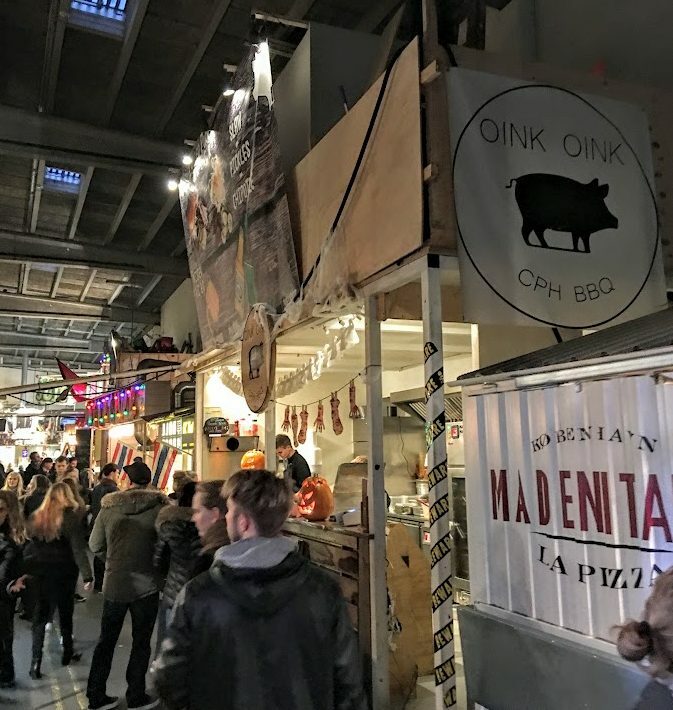 We had to visit PapirØen in order to experience Copenhagen Street Food. 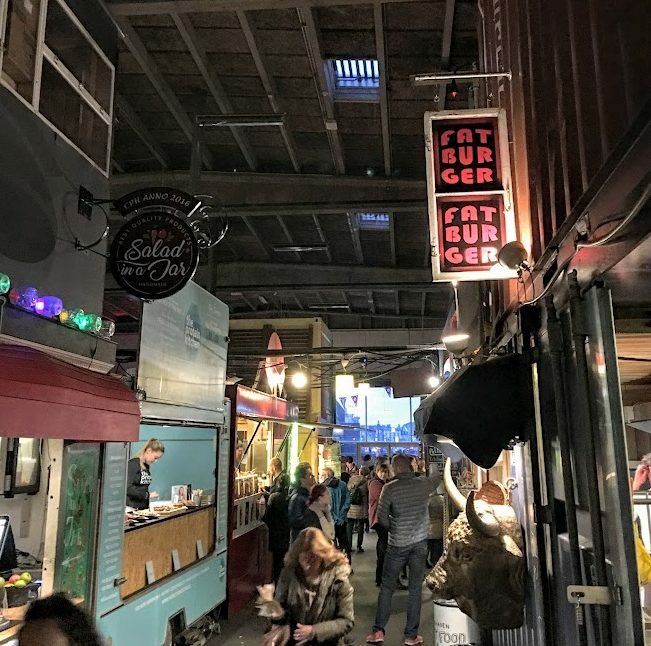 It is a bunch of stalls of international foods housed in an old paper factory warehouse. On a Friday night it was packed, but looking at all the stalls was fun. 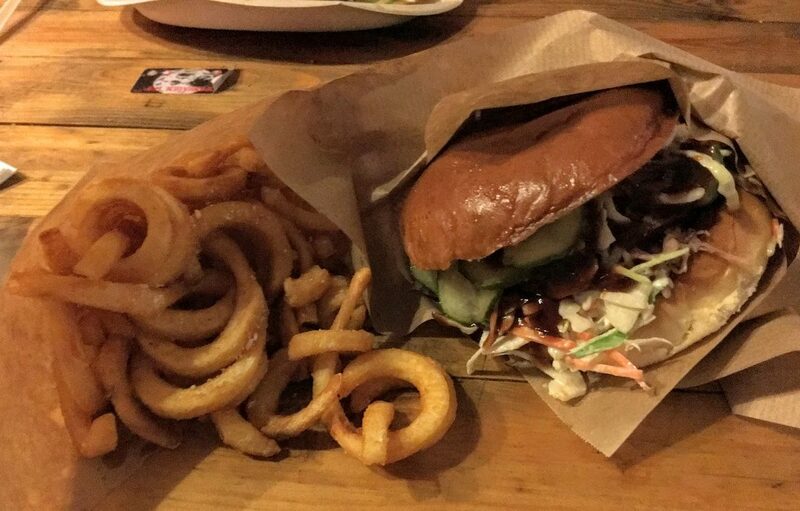 We settled on Oink Oink BBQ for the Pulled Pork Burger. 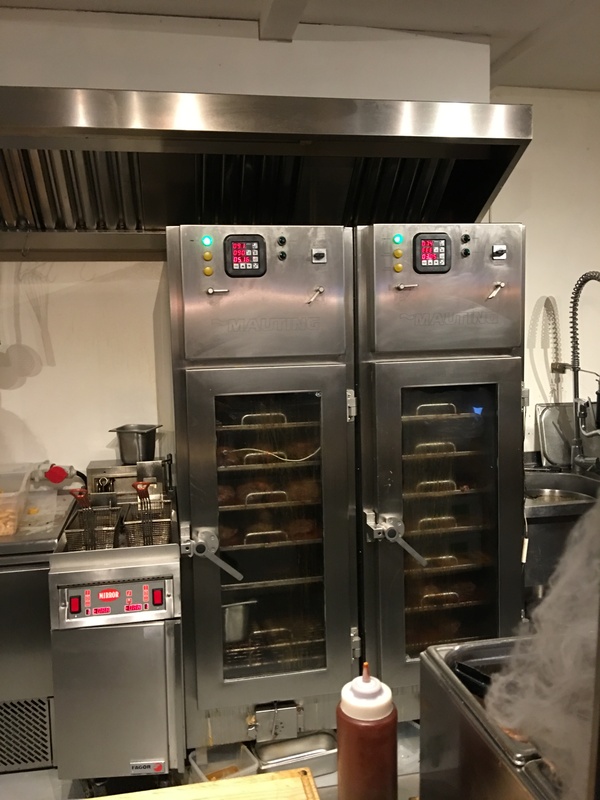 Here are the pork shoulders slow roasting in the oven. Once one comes out, they shred it up. And here is the finished burger. Slaw, spicy BBQ sauce and Curly Fries. 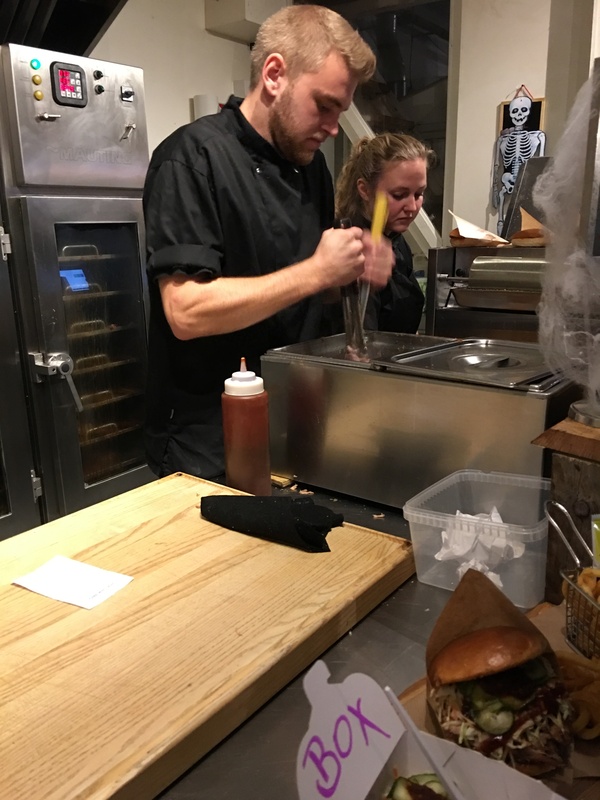 The taste was smooth and tender, a great burger for sure! There are a lot of stalls. Be prepared to be confused as to what to eat. But definitely check it out. 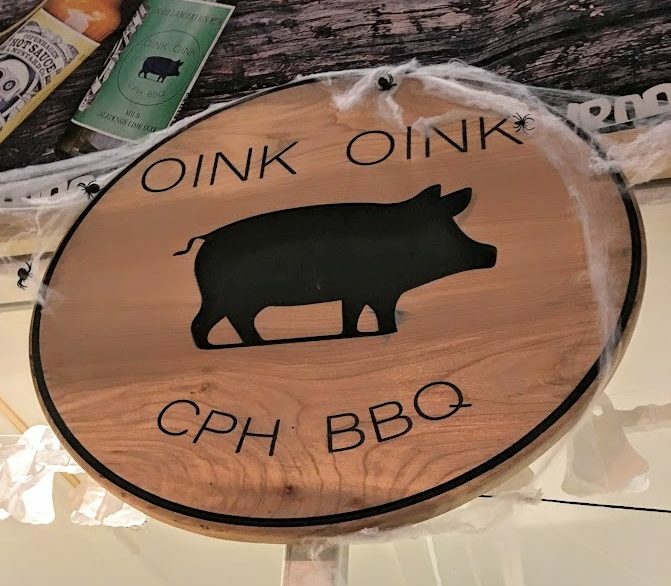 Posted in BBQ, Copenhagen, PorkTagged BBQ, Copenhagen, Denmark, PorkBookmark the permalink.